PRP, Platelet-rich plasma therapy, is a non-operative option that has been used in the treatment of musculoskeletal conditions like arthritis and sprains. The procedure has gained a lot of popularity especially among athletes who have attested its effectiveness at resolving various injuries like sprained ankles and chronic tendon injuries. Despite its publicity, there’s still a lot of controversy regarding how exactly how effective PRP is although studies have shown promising results in the treatment of chronic tendon injuries, especially at the elbow. Platelets are well known for their function of promoting clotting to prevent excessive loss of blood. What few people know is that platelets also contain proteins known as growth factors which recruit cells that facilitate repair of body tissues and accelerate healing. The basis of PRP is to increase the concentration of platelets in order to increase the rate of healing in muscle, tendons and ligaments. To create a PRP preparation, blood is first extracted from the patient then taken through a process known as centrifugation. This process involves high speed rotation that separates platelets from other cells and increases their concentration. After being centrifuged, the platelets are injected back into the patient’s abnormal tissue. There are various PRP kits which help facilitate easy preparation of platelet-rich plasma in a reproducible manner. These kits come in different types depending on their method and ability to collect and concentrate platelets. As long as you know what you are doing, you can even use these kits at home and administer PRP on your own. Other than treatment of musculoskeletal injuries, studies have shown that PRP is a viable treatment option for hair loss. Their use in treatment of hair loss began after the latest studies showed that the high concentrations of platelets in PRP promote hair growth by prolonging the growing phase of the hair cycle. In this procedure, PRP is injected into the part of the scalp where hair loss has occurred. The injections of plasma are typically injected monthly for the first 3 months then spread out over a couple of months in the remaining sessions. 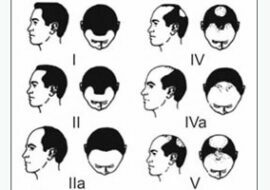 The number of sessions differs depending on factors like age and amount of hair loss. In some cases, you may even receive injections over a period of two years for the maximum effect. More and more people are banking on the effectiveness of PRP since it shows clear advantages over other treatment methods. It’s a relatively long-term solution so you don’t have to keep taking drugs to maintain the effect as is the case with drugs like minoxidil and finasteride. Additionally, PRP injections are a non-surgical procedure. 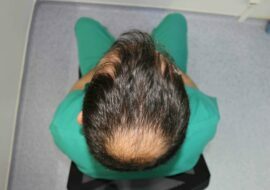 You therefore don’t have to deal with the substantial scarring and long recovery period seen in hair transplantation procedures. Finally, you don’t have to endure side effects other than slight pain at the injection site. This is because you are essentially being injected with a slightly modified form of your own blood, which is obviously not harmful to you. To try this technique, there are a number of things you should keep in mind. First, if you have an underlying disease like lupus that’s causing the hair loss, don’t opt for this treatment since such conditions will just continue causing the hair loss afterwards. Antiplatelet drugs or blood thinners are another factor to consider. If you are taking such drugs, the PRP injections will have greatly reduced efficacy. 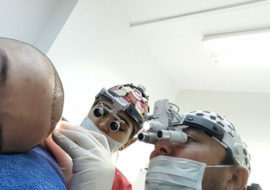 Also, try out the procedure while the hair loss is still recent. PRP has a hard time inducing hair growth of follicles that have been dormant for many years and you may end up using up your money for minimal gain.